In this age of full disclosure, fueled by social media and online forums, consumers are able to express their opinions and know that they’ll be heard. If the service is top-notch and reviews are nothing but positive, this can certainly be a good thing for business owners and managers. The opposite, of course, is true as well. I was recently on a website called tripadvisor.com, perusing for details on a trip I’m planning for myself, when I found a thread titled “Horrible Crowd Control,” citing two complaints about crowd problems at a nameable theme park. Of course this peaked my interest, considering the field I’m in, so I opened up the forum and found the following from an obviously disgruntled visitor. Let me say that my intention here is not to hang this park out to dry. There were plenty of comments that praised the park as well, and I’m sure the wait depends on the day. But does it have to? Should park officials leave their customer service reviews up to fate, dependent entirely on the amount of people who show up that day? I think not. Having big crowds is a sign of success; something to embrace, not fear. 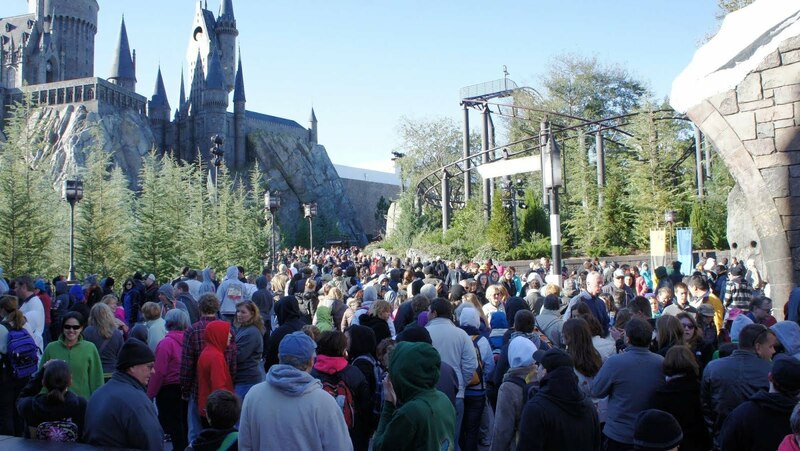 It’s how the crowds are dealt with, however, that will ultimately determine the success of the park. It appears that the first problem at this park was the amount of guests allowed in on that particular day. More people means more money, but if your guests have a bad time due to long lines and crowds, not only are they less likely to come back, but they’ll probably spread a bad word, like the man quoted above. 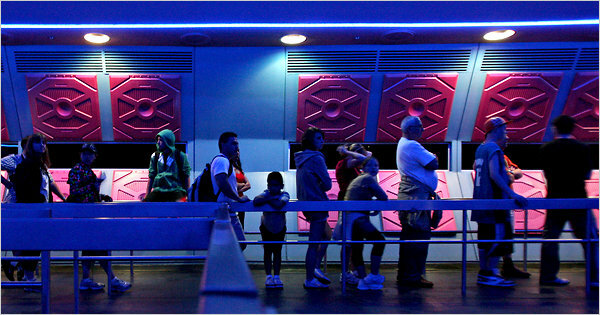 It’s important to control entry to ensure guests aren’t experiencing abnormal wait times. Legoland Malaysia does this on a per need basis. If the park becomes too crowded, they simply close the gates for all visitors attempting entry without pre-purchased tickets. Another useful tactic is to monitor your lines, and send entertainment to those that are abnormally long. Disney World does this through their crowd control command center. When a wait becomes too long, they’ll send over a parade of entertainers to keep visitors from thinking about the wait. It’s also imperative that you manage expectations. Tell customers how long they’ll be waiting. Use a sign stand to estimate wait times, and always overestimate. If something goes wrong, and the wait is a little longer than expected, waiters will never know, as you accounted for extraneous difficulties in your original estimation. If everything goes as planned, it will appear that the wait was shorter than expected, and you can’t beat the impression that will give. Keep it safe, simple, and smart. If you manage expectations, control entry, and keep careful watch over your park, you should be able to avoid bad reviews like the one above.